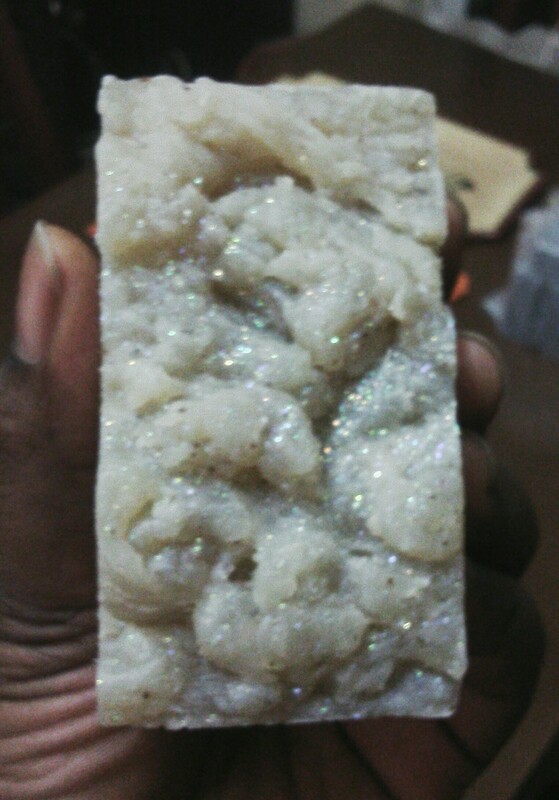 I was already prepping for a regular milk soap for a lady with an atopic skin condition and decided to take the luxury and skin benefits to another level. I replaced half of the water with fresh avocado puree (that’s a lot) and the other half was the milk. 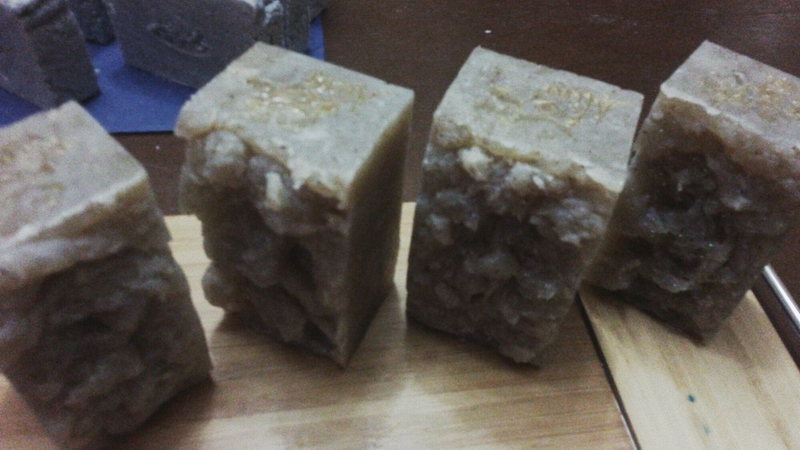 I tried the pH of this soap as soon as I cut it less than 24 hours after it was made and it was 8 (the pH of water is 7). 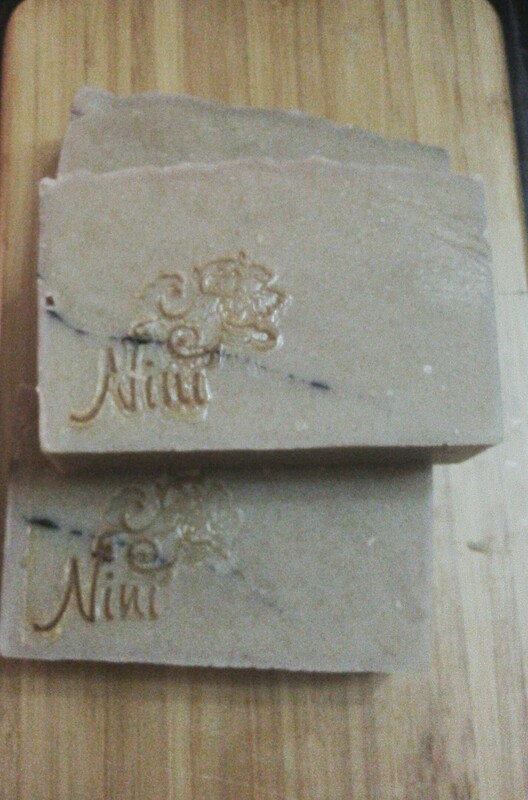 This will be a very mild and very creamy soap once its fully cured. A few months ago, I learned a technique to extract components from herbs more effectively and I set to experimenting with African violet, camwood and neem leaves. 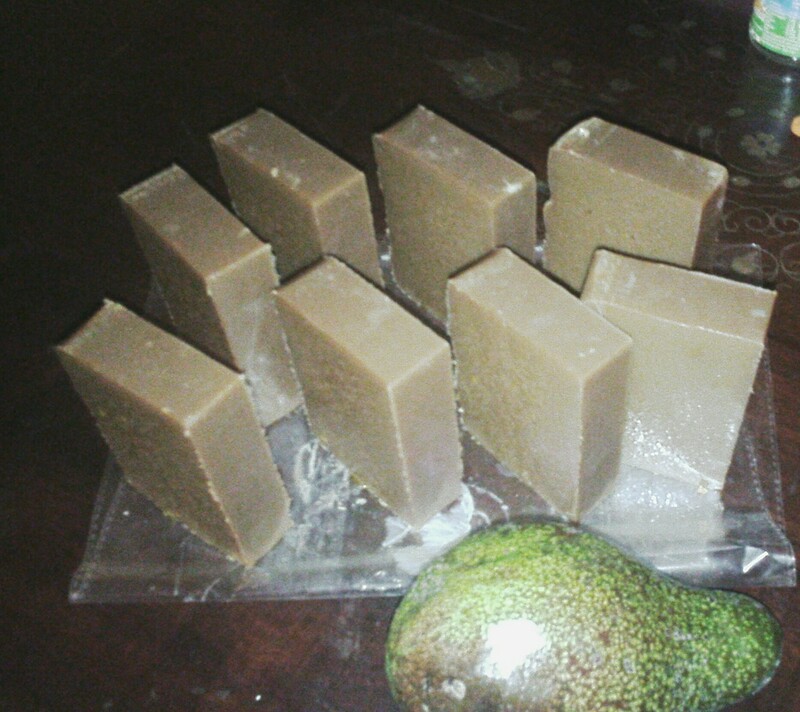 I made 2 batches of soap, one with the camwood infused oil and the other with the neem. The camwood soap was made with goats milk and dark cocoa powder, in addition to kaolin clay and honey. The milk and sugars really made this soap’s lather dense and luxe. The neem oil infusion was a very dark green with a very herbal smell – strong but not as strong as neem oil. 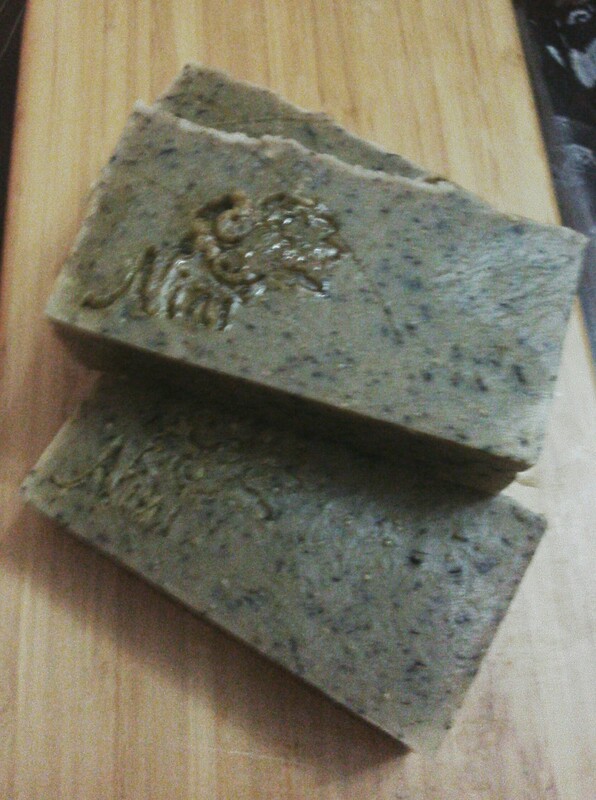 I decided to add a heaping tablespoon of the infused neem leaves into the soap batter for some interest. What surprised me about this soap is the fragrance. I left this soap fragrance free and the final bar smells nothing like neem! Im not sure I can describe the fragrance – its soft and quite pleasant. Time permitting, I’m going to pay more attention to how different combinations of my soaping oils smell without extra fragrance. And in case you were wonderimg…The African violet initially gave up its vibrant but delicate purple colour but turned brown within an hour so I didn’t use it in the lotion I was planning to use it in. Congratulations to Bola at BeeGee Wellness. Expect your package at your door step in a couple of days. I like pomegranates. Well, more like the idea of them as I’ve never eaten one before 😀 . 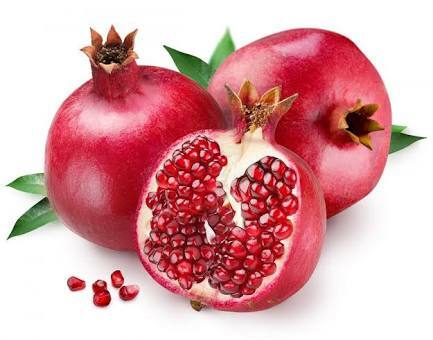 I have tasted pomegranate juice and tea before though – that should count for something. The first time I sniffed the moonlit pomegranate line in a popular bath and body shop, I spent an inordinate amount of time trying everything on. I even tested the body wash and cleaned my hands on a couple of wet wipes so I could start testing all over again. I was a poor student then so I really couldn’t afford to buy more than a little tube of lotion.